Cornyn was on President Donald Trump’s shortlist for the position, which opened last week when Trump fired former director James Comey. Trump fired Comey last week four years into his 10-year term while the FBI was investigating potential ties between Russia and Trump’s 2016 presidential campaign. On Monday, the Washington Post reported that the day after Comey was fired, Trump revealed classified information to the Russian foreign minister and ambassador in the Oval Office. Last week, Cornyn commented on the Comey firing and the ongoing Russia investigation in the Senate Intelligence Committee, which he serves on. U.S. Rep. Trey Gowdy, R-S.C., removed himself from consideration as FBI director on Monday. The administration has interviewed at least eight candidates to replace Comey, out of more than a dozen being considered. Trump has said a decision could come as soon as this week. 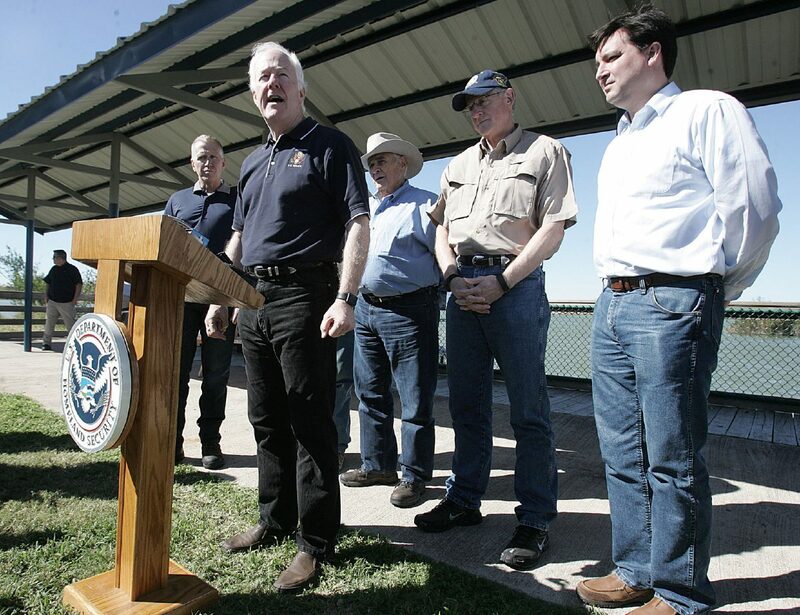 Local lawmakers and those involved in trade have been pleased with Cornyn’s comments in recent months regarding trade and the North American Free Trade Agreement. Several people involved in U.S.-Mexico relations, especially Texas-Mexico relations, were happy with Cornyn’s decision. Former U.S. Ambassador to Mexico, Tony Garza, gave it a thumbs-up on Twitter. A member of Cornyn’s staff was in the audience at a Monday border economics roundtable in Weslaco, where U.S. Rep. Filemon Vela, D-Brownsville, made it a point to thank her and Cornyn. U.S. Rep. Henry Cuellar said in an interview last week that he has been especially “impressed” with Cornyn’s comments over recent months on trade and NAFTA. He added that he looks forward to continuing to work with Cornyn, as he has for years. The city of McAllen recently recognized Cornyn at the Anzalduas International Bridge for the work he did in Washington D.C. for the bridge system. Local mayors called him a “friend,” something local officials don’t often say about elected officials at Cornyn’s level. Tamaulipas Gov. Francisco Cabeza de Vaca called Cornyn an ally and important to understanding border issues at the Capitol.